"Data from orbiting telescopes like NASA's Kepler Mission hint that the tally of habitable planets in our galaxy is many billion. If E.T. 's not out there, then Earth is more than merely special – it's some sort of miracle." 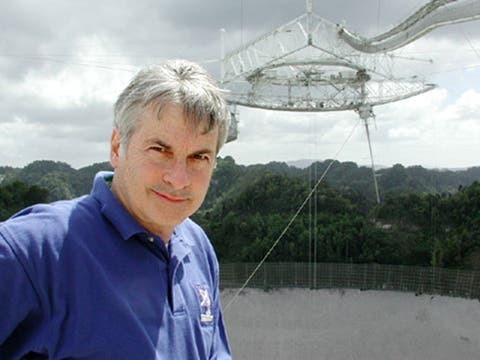 Seth Shostak, Chief Astronomer, SETI Institute and and author of Confessions of an Alien Hunter: A Scientist's Search for Extraterrestrial Intelligence. The image at the top of the page is an artist's concept that depicts one possible appearance of the planet Kepler-452b, the first near-Earth-size world to be found in the habitable zone of star that is similar to our sun. The habitable zone is a region around a star where temperatures are right for water — an essential ingredient for life as we know it — to pool on the surface. 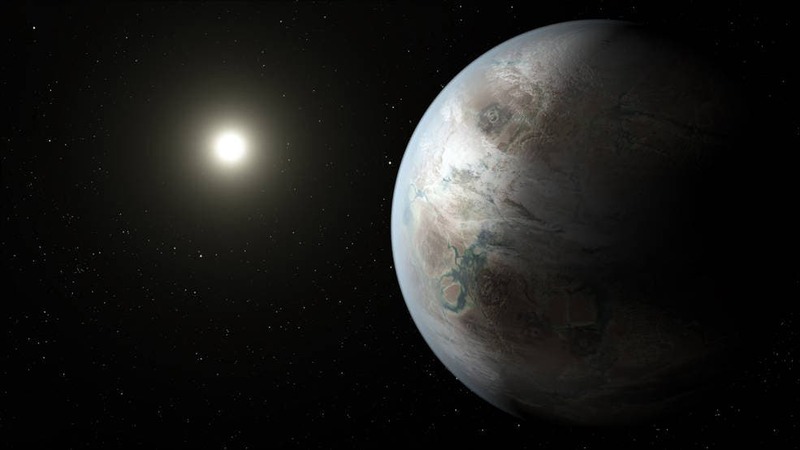 Scientists do not know if Kepler-452b can support life or not. What is known about the planet is that it is about 60 percent larger than Earth, placing it in a class of planets dubbed "super-Earths." While its mass and composition are not yet determined, previous research suggests that planets the size of Kepler-452b have a better than even chance of being rocky. Kepler-452b orbits its star every 385 days. The planet's star is about 1,400 light-years away in the constellation Cygnus. It is a G2-type star like our sun, with nearly the same temperature and mass. This star is 6 billion years old, 1.5 billion years older than our sun. As stars age, they grow in size and give out more energy, warming up their planets over time.